Only a small percentage of Minnesota estates are large enough to pay an estate tax. When a person makes a will, he typically names a personal representative to administer the distribution of his estate. During a court-supervised process known as probate, the personal representative collects the assets of the deceased, pays creditors, and then distributes the remaining assets to the beneficiaries named in the will. The personal representative must also pay the deceased's income taxes, as well as any federal and state estate taxes owed in cases of large estates. The estate tax is a tax on all the assets of the estate before they're distributed to beneficiaries. Minnesota does not have an inheritance tax, which is a tax that beneficiaries pay on estate assets when they inherit them. However, when you inherit in Minnesota, you might have to pay income tax on certain types of inheritances such as an IRA that includes the deceased's pre-tax dollars. You pay this income tax to the IRS and the state where you live, not the state where the deceased lived. When a person dies, the personal representative must supply an accounting of the deceased's entire gross estate worth to the probate court. This includes personal property, such as jewelry and vehicles, and real property. Before transferring property from the estate to beneficiaries, the personal representative must pay any estate tax due from the monies of the estate. As of 2012, a personal representative must file an estate tax return with the state of Minnesota if the gross estate is valued at greater than $1 million. This does not necessarily mean that a tax is due -- as there are a number of deductions to offset this number. As of 2012, the tax rate in Minnesota is between 9 and 41 percent, depending on the size of the estate and multiple other factors. The federal government imposes an estate tax in addition to the Minnesota tax. As of 2012, the federal government can take 35 percent from a gross estate valued at greater than $5 million. When calculating a gross estate amount, the IRS uses the fair market value of items as opposed to the cost at the time of purchase. The property included in the estate includes cash and securities, real estate, insurance, trusts, annuities, business interests and other assets. There are also a number of federal deductions available to offset the gross taxable amount. A personal representative also has to consider other taxes when handling a Minnesota estate. If the deceased was a business owner and the business continues past the date of death, the personal representative must make certain that all taxes for the business are kept current during the administration of the estate. He is also responsible for paying property taxes on behalf of the decedent if they come due during the administration period. Serving as a personal representative for an estate is not an easy task. The personal representative is held responsible if he mismanages the estate. Federal and Minnesota state law hold a personal representative liable for income and estate taxes if he distributes estate funds without reserving enough to pay the various taxes. A personal representative will also face civil penalties for misappropriating funds or committing fraud with respect to the administration of the estate. 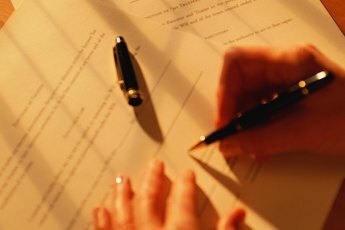 Is the Executor of a Will Responsible for a Mortgage? 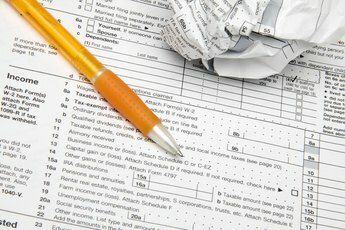 Do I Owe Taxes if I Got Money From My Mother When She Died? Do I Have to Pay the Medical Fee If My Mother Passed Away? 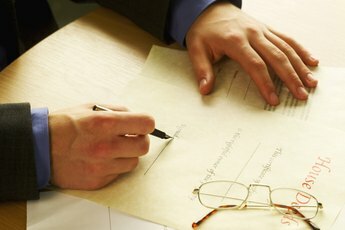 What Can You Claim as Executor of a Will? Who Has to File a 1041? How Long Does an Executor Have to Distribute Assets From a Will? 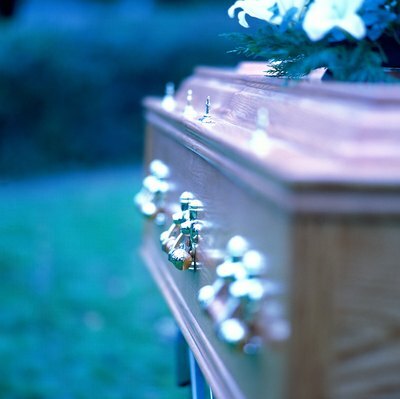 What Happens When You Die & Owe Taxes?